Wood Boiler Solutions,LLC highly recommends that you work with an authorized dealer in regards to testing to ensure that you get accurate results and therefore the program results you expect. Our authorized dealers have been trained to provide quality and accurate service. TAKE ADVANTAGE OF IT FOR YOUR BENEFIT! If you are a die-hard do-it-yourselfer and have patience and willingness to learn the following are Wood Boiler Solutions, LLC approved methods for maintaining proper level of Treatment Solution 101™ within your system at all times. We offer two options to best fit your needs. Also we have the means for you to do your own biological testing with accuracy and ease. 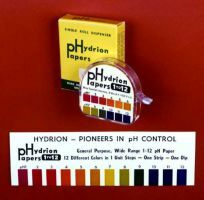 pH Paper - Simple and capable of reasonable accuracy but should not be relied upon as a stand alone testing method. Fill your system, add required dose of Treatment Solution 101™, circulate and then test and record the system pH. The recorded pH now must be maintained within the system as a minimum. It is very important that you accurately know the system volume and add the required amount of Treatment Solution 101™ initially to utilize this testing method. System pH should never be maintained lower than a value of 9. Replace unused pH paper at least annually. This method indirectly checks chemical level. This method should be complemented with a biannual test performed by one of our authorized dealers. 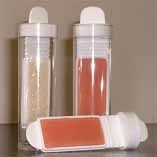 Nitrite Test Kit - The best in accuracy, this kit includes everything to perform +/- 10 tests with complete instructions. Regularly checking your system assures that your system is properly treated. This method directly tests chemical level. This is the testing method that we recommend for maintaining your system with the proper level of Treatment Solution 101G2, 350-1000ppm of Nitrite. 350-750ppm is adequate for most fill waters while a residual of 500-1500 gives maximum protection. No Freeze Treatment Solution 201 is also tested with this kit for the same recommended levels of Nitrite. The level of Nitrite does not, however, measure the antifreeze component of No Freeze Treatment Solution 201 necessarily. Test open systems as often as you need to add make-up water to the system or at least 4 times a year minimum for best results. Test closed systems 2 times per year minimum. Store kit at room temperature and pay attention to expiration date for the kit. Easy to use and accurate dipslide test method which indicates presence of harmful biological growth within a system (bacteria and fungi). Biological growth fouling accelerates system corrosion and degrades chemical performance. The test measures infection level of bacterias and mold/yeasts. Harmful biological growth outbreak can occur within an "open" or "closed" system. Systems are most prone to problems of infestation during the low-fire or the down season of summer. Realize that draining a system alone does not rid the system of the problem. The biofilm that remains quickly reinfests the system. Positive test results require that the system be drained and refilled with clean water adding proper dosage of Biological Solution to the system. Bacterial infestation can abruptly deplete chemcial levels in the system and many times this is an indication of such problems. Don't use color or smell as an indicator of microbiological problems. Test includes one dipslide, comparison chart to read results, and complete easy to follow directions. © 2012 Wood Boiler Solutions, LLC. All rights reserved.